Chapel Hill’s SPIDER BAGS recently reemerged with a new LP titled Shake My Head on Odessa Records. Following that, they dropped this 7″ from Sophomore Lounge Records to keep us busy. The two songs included on this new 7″ are about as new as it gets, because neither of them appear on Shake My Head. For one reason it’s good because it will keep us guessing about the LP, but for one reason it’s bad because it doesn’t help suppress our foaming at the mouth for the album. There is some good news because you can hear the single “Friday Night” from the LP right here. “Papa Was a Shithead” is an angry ruckus. It barely lasts over a minute, making for an increasingly sloppy punk monster as Dan McGee spews out a list of reasons why Papa is indeed a shithead – which includes many things like giving mother syphilis amongst others. 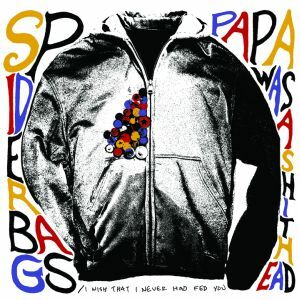 On the B-side, “I Wish That I Had Never Fed You” is a different beast entirely, but it also reminds us why we’ve come to love the Spider Bags. The song is driven by a lazy, off-centered alt-country twang, then it slowly begins to grow in size and intensity as the fiery guitars pick up some speed and momentum. They continue to lay it on heavy until we’re face to face with a wall of vigorous guitar intensity, where the cymbals crash relentlessly and McGee howls with regret under the madness. Hear both sides of this wild single below, then be sure to snag a copy from Sophomore Lounge Records – it’s limited to 300 on translucent purple wax. PREORDER the 7″ directly from Sophomore Lounge Records – drops Sept. 25th in an edition of 300 on translucent purple wax! 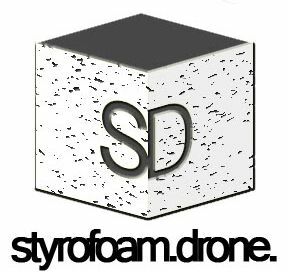 Posted on September 11, 2012 September 25, 2012 by styrofoamdronePosted in 7", Reviews, Still Spinnin'Tagged alt-country, punk, rock. ORDERED! I’m looking forward to hearing more about this “shithead”. Sounds right up my alley.